Download “The Age of Mobile Wallets”, compelling findings for banks that are considering a mobile wallet. 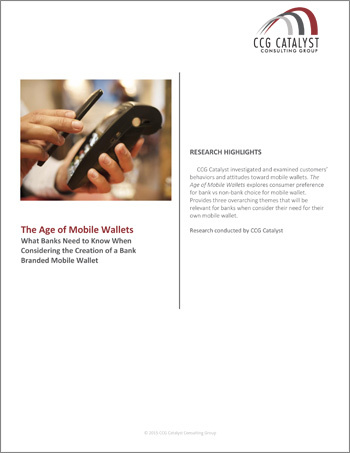 CCG Catalyst investigated and examined customers’ behaviors and attitudes toward mobile wallets. The Age of Mobile Wallets explores consumer preference for bank vs non-bank choice for mobile wallet. 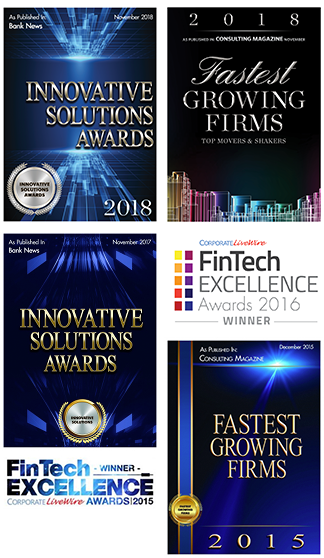 Provides three overarching themes that will be relevant for banks when consider their need for their own mobile wallet. Research conducted by CCG Catalyst. Are you interested in the full report? Click here to purchase the 41 page report from CCG Catalyst. about the changes that effect banking?